Partly for the sake of broadening ‘Misfit City’s music coverage – and partly because it makes me feel a little more involved in music – I’ve decided to start covering music crowdfunding campaigns which interest me. As I’m generally short of ready cash, I was late to the music pledge phenomenon as it grew, although I found it potentially fascinating when I did encounter it (see my wide-eyed response to some of Kickstarter’s more cultish implications in the middle of this review). Increasingly it’s a vision of the future – or at the very least, the future of the honest hustle – as the music industry continues to crumble and narrow down to a point where more and more of the interesting music is forced to turn self-propelled and troubadour, travelling hopefully to an unknown audience whom it’ll eventually all but know by name. 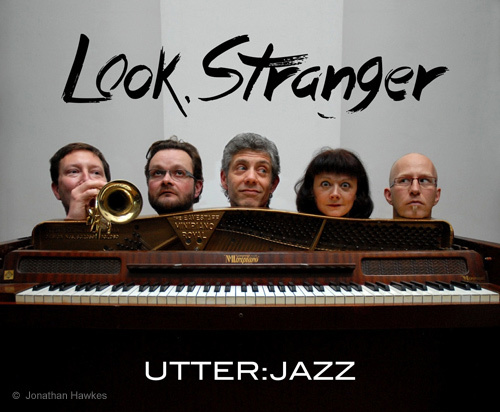 The first is the Kickstarter campaign for the ‘Look, Stranger’ project by Utter:Jazz Collective, set up by Jazzberries singer Ruthie Culver. This is a ferment of Benjamin Britten’s music, W.H. Auden’s verse, the voices of Ruthie and several of Britain’s greatest stage actors, and the transformative flood of twenty-first century jazz. Sounds risky (the options for falling into camp or cuteness are legion) but the caliber of the people involved suggests that they’ll pull it off with flair. Ruthie’s a singer whose explorations have taken her from opera to chanson, Sondheim to cabaret, poetry to swing. Between them the Utter:Jazz instrumentalists – double bassist Jonny Gee, reeds player Mick Foster, pianist/trombonist Dan Hewson and drummer Andrea Trillo – have covered jazz, baroque music, contemporary classical music, opera, tango, pop and salsa; have worked with a swathe of bandleaders and situation-starters including Herbie Hancock, Ravi Shankar, Nigel Kennedy and Jarvis Cocker, and have tried everything from classical stand-up and serious education to writing their own string quartets. “Over the past year, my band and I have been through through a mind-boggling process of musical experimentation and harmonic analysis with twelve songs by Benjamin Britten, re-interpreting them through all the technicolour grooves and vibrant influences of 21st century jazz, including swing, samba, funk and blues… We chose Britten (whose centenary is this year) because his harmonies and melodies are delicious – something to get your teeth into – modern and beautiful. The song lyrics are satirical, romantic and witty, and all written by WH Auden (who wrote ‘Stop all the Clocks’, made famous in Four Weddings and a Funeral). 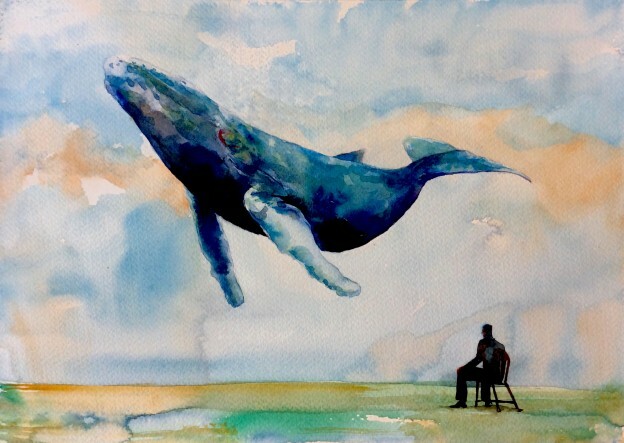 The second crowdfunder I’m going to mention is the PledgeMusic campaign for the orchestral version of Todmorden 513, a long-form piece composed by Markus Reuter. Markus is best known for his work with centrozoon and his contributions to various King Crimson spinoffs (The Crimson ProjeKCt, Stick Men) but his work ranges beyond art-rock and explores a spectrum of ambient music, pop, systems work and contemporary classical composition. Originally a recording for treated touch guitar and small ensemble, Todmorden 513 has now been arranged for full orchestra by Thomas Blomster who, once upon a time, was half of Pale Boy (and was responsible for the superb arrangements on their only album) but now runs the Youth Orchestra of the Rockies. The piece has recently been performed and recorded by the Colorado Chamber Orchestra, with Thomas as conductor. The difference between this and the Utter: Jazz campaign is that Markus’ project is technically complete – orchestrated, recorded, mastered and now moving towards release. However, that’s not the end of the story and any further pledging and involvement will help it move further into the next (and arguably more tortuous) phase of promotion and outreach to people who want to hear it (even if they don’t know it yet). Another incentive for involvement is that 5 % over goal will be donated to the Youth Orchestra of the Rockies. It’s a little late in the day, but there’s still an opportunity to get involved in this. …followed by their UK tour, accompanied by actors including Sir Derek Jacobi, Roger Lloyd Pack, Sam West, Samantha Bond & Natascha McElhone, to great critical success (The Times loved it) & popular acclaim from their audiences.